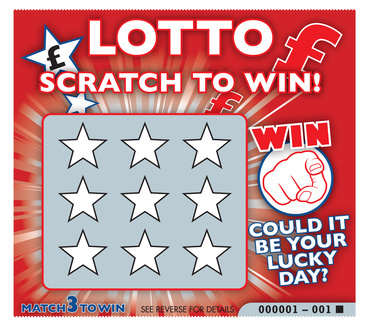 HMRC doesn’t regard lottery winnings as income, so all prizes are tax free, hooray! The cash will form part of your estate and be liable for 40% inheritance tax (IHT) if it takes the value of your estate above the current threshold of £325,000. Gifting millions will not save you from paying IHT either: HMRC will tax you on a sliding IHT scale should you die within seven years of gifting any cash to friends and relatives – a 20% reduction in tax if you die between three and four years after gifting, a 40% reduction between four and five years, etc). You can get around this by making sure the recipient signs an agreement that they will pay any IHT due if you do die within seven years. The IHT issue also applies where you have a syndicate without a syndicate agreement. The solution to this is to have a syndicate agreement , then you can look forward to spending your fortune. The reasoning behind HMRC’s thinking goes back to the case of Graham v Green  9TC309 and concerned a man whose sole means of livelihood came from betting on horses at starting prices. A bet is merely an irrational agreement that one person should pay another person on the happening of an event. This shows that having expertise or being systematic (“studying form”) is not enough to create a trade of being a ”professional gambler”. The other problem for HMRC is that if you tax ‘winnings’ you would have to allow tax deductions for ‘losing’ and there are more losers than winners. Clubs may wish to arrange prize competitions where the nature of both the competition and the prize is such as to promote participation in the sport. In strictness there is nothing to permit this but where the value of prizes, are commensurate with amateur participation in the particular sport these would not prevent club from being registered. Competition prizes of sufficient value to attract professionals or such frequency that could be equated with payment to players would preclude qualification as a CASC. Example 1 A Cycling club promotes races in which members and others, particularly local juniors, are encouraged to participate. Modest cash prizes are awarded and funded from entry fees and local sponsorship. This would be acceptable. Example 2 A Golf club holds regular competitions for members throughout its season. Although individual events may be limited by gender or handicap, all members are able to participate in some of the competitions. Prizes of golf equipment, for example bags, shoes, balls or vouchers redeemable at the club shop are awarded. Again, this would be acceptable. Example 3 A Bowling club organises frequent competitions for club members with cash prizes subsidised by a brewery. Senior players derive significant benefit from these arrangements. A club that subsidised its members in this way would be unlikely to qualify as a CASC. When it comes to professional sporting events the tax can be significant and has led to problems attracting sporting stars. Like most countries, the UK charges tax on appearance fees and prize money when non-resident athletes compete in Britain but, unlike many other countries, it also seeks to tax the athlete’s global endorsement income. Based on the number of days spent competing in the UK, Her Majesty’s Revenue and Customs charges tax on a percentage of the athlete’s income earned elsewhere. As reported in the Telegraph in February 2013.